A simple way to pay online safely and securely by credit or debit card. Pay using Visa, Mastercard, Maestro or JCB (Japan Credit Bureau) card. Worldpay uses Verified by Visa and Mastercard Securecode as an extra level of security. No sign-up or registration is required to pay using Worldpay. Another safe and secure way to make payment online. If you have a PayPal account, you can log in and pay with your balance, or your credit or debit card. If you don’t have an account just click “Pay with a debit or credit card” to pay using Visa, Mastercard, Discover, American Express or Maestro without having to log in. 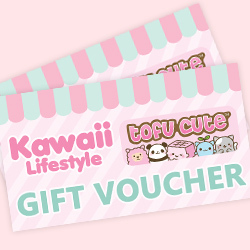 We also accept payment online using Kawaii Lifestyle Gift Vouchers, available to buy here. More information about how to use our gift vouchers can be found here. 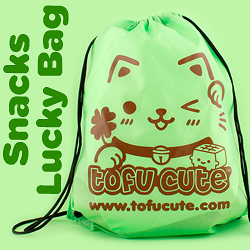 Tofu Cute is based in the UK, so by default our prices are shown in £ GBP (British pounds). We offer a handy converter that can be used to view a rough estimation of other currencies. Just scroll down to the very bottom of the page, and you’ll see a dropdown box which will change all the prices on our website. Please click here to convert other currencies not listed there. Please note that Tofu Cute takes all payments in British Pounds. When you pay in British Pounds with a card or bank account that uses a different currency, the exact exhange rate is determined by the conversion rate used by your bank, or by PayPal (if you pay with your PayPal balance). 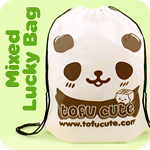 Tofu Cute offers a full gift wrap service, to make it even easier for you to order kawaii items as presents for your friends and family. At the checkout you’ll see “Gift Options”, where for £3.99 you can choose for your order to be lovingly wrapped in one of our adorable Tofu Cute wrapping paper designs, and have a personal message handwritten onto a gift tag. 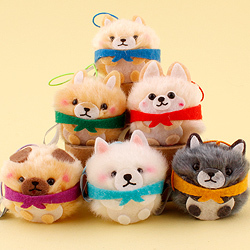 If you choose to gift wrap an order, all items will be wrapped together in one present, except any greeting cards, gift wrap packs or Tomodachi cards, which will be left loose. You can also opt to have prices removed from the packing slip - handy if you’re having it sent directly to the gift recipient. If you have any special requests for gifts, please contact us when you place your order. International customers should be aware that some countries charge customs fees such as duty and import tax on items that are received into the country from abroad. The customer is responsible for paying any fees and taxes due. 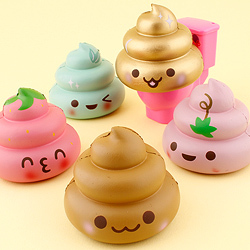 Tofu Cute is not liable for these, so we recommend that you check the rates and limits with your customs office or government website before placing your order. If you’ve already looked through the Help & FAQs and you still can’t find the answer to your question, please get in touch with our team, who will be happy to help! We aim to answer emails within 24 hours Mon to Fri. You can also use this contact form; please check your email address is entered correctly, so we can reply to you! You can speak to a team member during our opening hours 10am - 5.30pm Monday to Saturday (except when our office is closed due to a big event - please see the Events page). If it’s not urgent, feel free to send us a real-life letter, the old-school way!